These .40 caliber paintballs are for use with our blowguns. 100 pack. 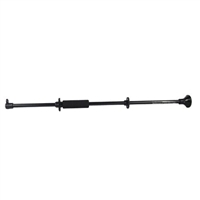 These Blowguns are .40 caliber, precision manufactured with seamless T-6061 aircraft aluminum tubing and guaranteed for life. They are not toys but the real thing. With all the new improvements, you can expect ranges over 250 feet and muzzle velocities as high as 350 feet per second or more! In fact, the darts can penetrate 1/4" of plywood with no problem! 100% USA made. Each Blowgun comes with 12 target darts, mouthpiece, muzzle-guard, foam grip and two dart quivers. Available in 18, 24, 36, 48, 60 and 72 inches. Target Darts for use with Blowguns. Pack of 100 ea. These .40 caliber paintballs are for use with our blowguns. 250 pack. Target Darts for use with Blowguns. Pack of 250 ea. These .40 caliber paintballs are for use with our blowguns. 1000 pack.